Three crew members representing the United States, Russia and Japan are on their way to the International Space Station after launching from the Baikonur Cosmodrome in Kazakhstan at 9:36 p.m. EDT Wednesday, July 6 (7:36 a.m. Baikonur time, July 7). 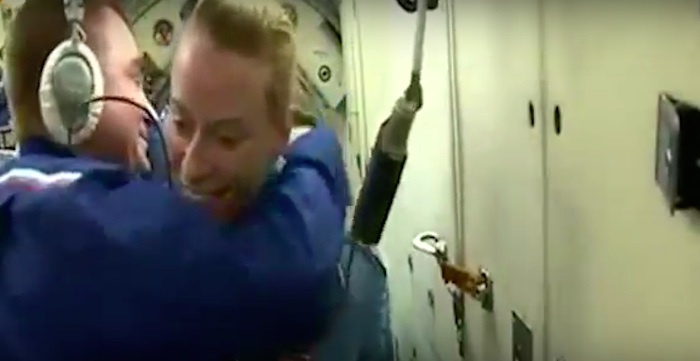 Kate Rubins of NASA, Soyuz Commander Anatoly Ivanishin of the Russian space agency Roscosmos and Takuya Onishi of the Japan Aerospace Exploration Agency are traveling in an upgraded Soyuz spacecraft. They’ll spend two days -- and 34 Earth orbits – testing modified systems before docking to the space station’s Rassvet module at 12:12 a.m. EDT Saturday, July 9. 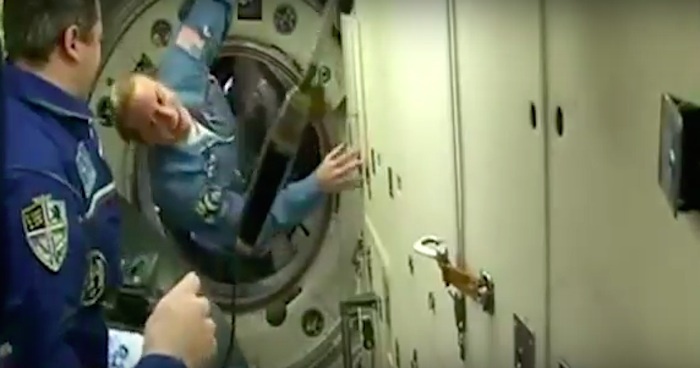 NASA TV coverage of docking will begin at 11:30 p.m. Friday, July 8. Hatches are scheduled to open about 2:50 a.m. Saturday, July 9, with NASA TV coverage starting at 2:30 a.m. The arrival of Rubins, Ivanishin and Onishi returns the station's crew complement to six. The three will join Expedition 48 Commander Jeff Williams of NASA and Flight Engineers Oleg Skripochka and Alexey Ovchinin of Roscosmos. The Expedition 48 crew members will spend four months conducting more than 250 science investigations in fields such as biology, Earth science, human research, physical sciences, and technology development. 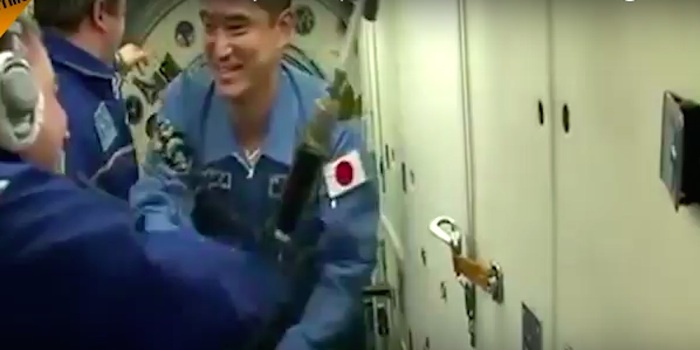 Rubins, who holds a bachelor’s degree in molecular biology and a doctorate in cancer biology, Ivanishin and Onishi are scheduled to remain aboard the station until late October. Williams, Skripochka and Ovchinin will return to Earth in September. Expedition 48 crew members are expected to receive and install the station’s first international docking adapter, which will accommodate future arrivals of U.S. commercial crew spacecraft. Scheduled for delivery on SpaceX’s ninth commercial resupply mission (CRS-9) to the station, the new docking port features built-in systems for automated docking and uniform measurements. That means any spacecraft may use the adapters in the future – from NASA’s new crewed and uncrewed spacecraft, developed in partnership with private industry, to international spacecraft yet to be designed. The work by private companies to take on low-Earth orbit missions is expected to free up NASA's resources for future crewed missions into deep space, including the agency’s Journey to Mars, with the Orion crew capsule launching on the Space Launch System rocket. Investigations arriving on SpaceX CRS-9 in July will test capabilities for sequencing DNA in space, regulating temperatures aboard spacecraft, understanding bone loss, and tracking ships around the world. Other investigations will study how to protect computers from radiation in space and test an efficient, three-dimensional solar cell. The crew members also are scheduled to receive Orbital ATK’s sixth commercial resupply mission and two Russian Progress resupply flights delivering several tons of food, fuel, supplies and research. A Japanese cargo craft will deliver new lithium-ion batteries to replace the nickel-hydrogen batteries currently used on the station to store electrical energy generated by the station’s solar arrays. For more than 15 years, humans have been living continuously aboard the International Space Station to advance scientific knowledge and demonstrate new technologies, making research breakthroughs not possible on Earth that also will enable long-duration human and robotic exploration into deep space. A truly global endeavor, more than 200 people from 18 countries have visited the unique microgravity laboratory that has hosted more than 1,900 research investigations from researchers in more than 95 countries. Russian new Soyuz-MS spacecraft for the first time docked with the International Space Station on Saturday, the Russian space agency Roscosmos said. The docking was carried out in automatic mode, a spokesperson for Roscosmos told RIA Novosti. Russian cosmonaut Anatoly Ivanishin, NASA astronaut Kathleen Rubins and Japanese astronaut Takuya Onishi joined the current 48th ISS Expedition of Russian cosmonauts Oleg Skripochka, Aleksey Ovchinin and NASA astronaut Jeffrey Williams. 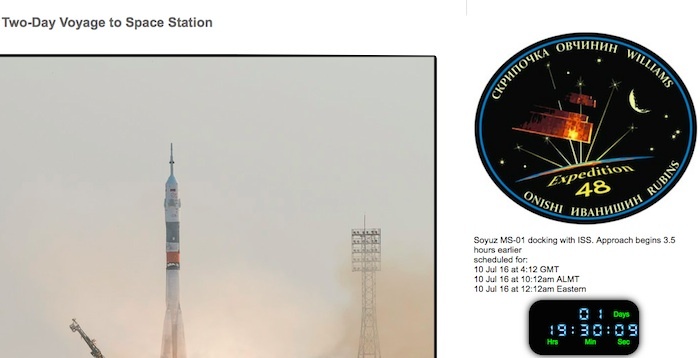 Soyuz-MS was launched aboard the Soyuz-FG launch vehicle from the Baikonur Cosmodrome on July 7. Manufactured by the S.P. Korolev Rocket and Space Corporation Energia, Soyuz-MS is equipped with the advanced navigation and motion control systems, as well as an improved power supply system. NASA astronaut Kate Rubins, cosmonaut Anatoly Ivanishin of Roscosmos, and astronaut Takuya Onishi of the Japan Aerospace Exploration Agency (JAXA) joined their Expedition 48 crew members aboard the International Space Station officially at 2:26 a.m. EDT July 9 when the hatches opened between their Soyuz MS-01 and the space station. 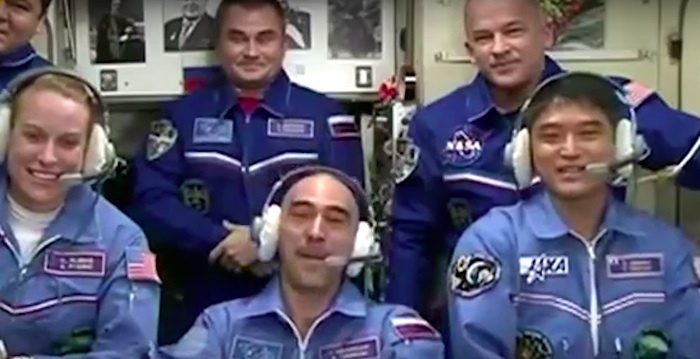 Expedition 48 Commander Jeff Williams of NASA and Flight Engineers Oleg Skripochka and Alexey Ovchinin of Roscosmos welcomed the trio aboard their orbital home. In the coming months, the crewmates are scheduled to receive multiple cargo resupply flights delivering several tons of food, fuel, supplies and research. SpaceX’s ninth commercial resupply services mission under contract with NASA is scheduled to launch to the space station no earlier than July 18 at 12:45 a.m. Research aboard the Dragon cargo spacecraft will include experiments to test the capabilities for sequencing DNA, understand bone loss, track heart changes in microgravity and regulate temperature aboard spacecraft. The first of two international docking adapters is also headed to station in Dragon’s unpressurized trunk, which will allow commercial spacecraft to dock to the station when transporting astronauts in the near future as part of NASA’s Commercial Crew Program. Williams and Rubins are scheduled to install the adapter during a spacewalk later this summer. 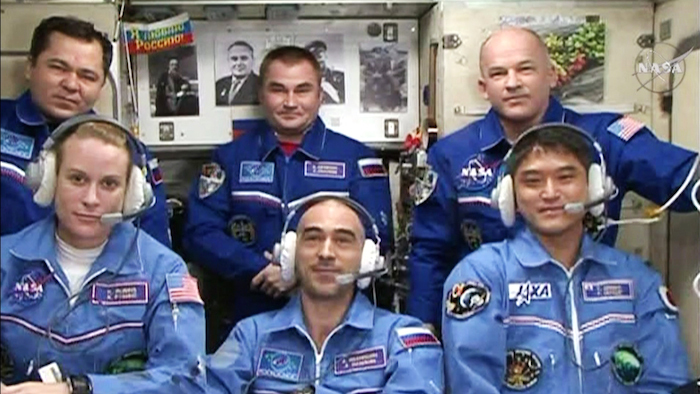 Rubins, Ivanishin and Onishi are scheduled to remain aboard the station until late October. Williams, Skripochka and Ovchinin will return to Earth in September.